Forgot to ask. How does it compare weight wise with the old one? Marc still has the original and I hadn't weighed it but the inner I was using on my regular Phreeranger (the same inner as the EB model anyway) was 610g, the new one is 547g, my regular Phreeranger fly weighs 708g of course a Phreeranger EB fly is heavier, the new EB fly weighs 677g. I'm guessing about 500g lighter than the original or about the same weight as the Mythos but with much more room. Great stuff. Glad to see you posting. Does the rain drip off the door apex into the tent. Just looks as though it could from the pic. Well done Marc. I can see orders thick and fast. No the inner tent sits well back from the apex of the door, I'd need to measure it but if you take a line from the front left corner of the fly to the front right corner the apex of the door would be directly above or maybe slightly forward of the line. The inner is behind that line. Outstanding. I'm glad it's worked out. Looks fantastic. Hope you get lots of use out of it. I'm seriously thinking about adding an EB fly as well as my standard version, now that Marc has cracked the weight difference - which was apparently due to a really heavy groundsheet on the EB, rather than extra weight in the fly itself. 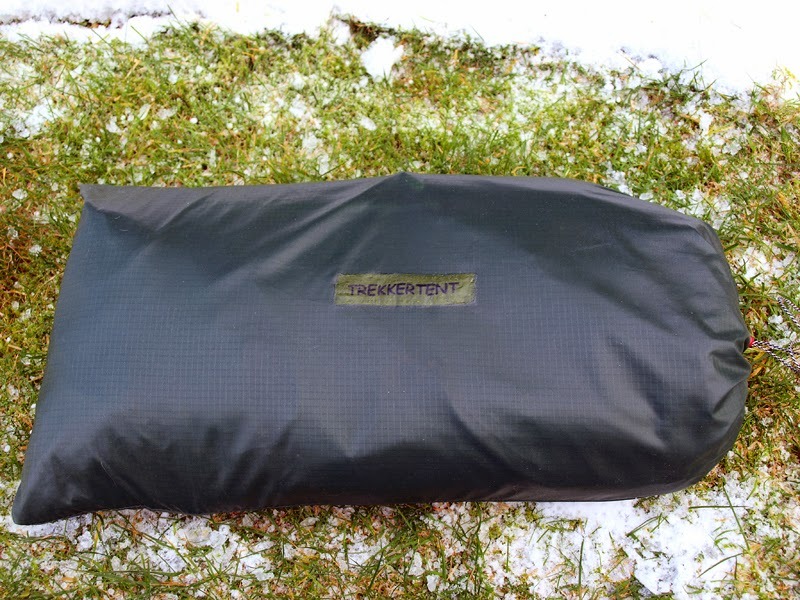 He's also done some nifty modifications to my inner, which lets me roll back the inner and access the bell on the non-door side of the tent for wet storage - at the cost of a bit of inner space. Narc did mention the roll back modification and with hindsight I might have opted for it but without actually trying the modifications for myself I decided to keep it simple. I haven't had a chance to do anything else with the tent due to work but maybe by the end of the month I'll get a bit of free time. 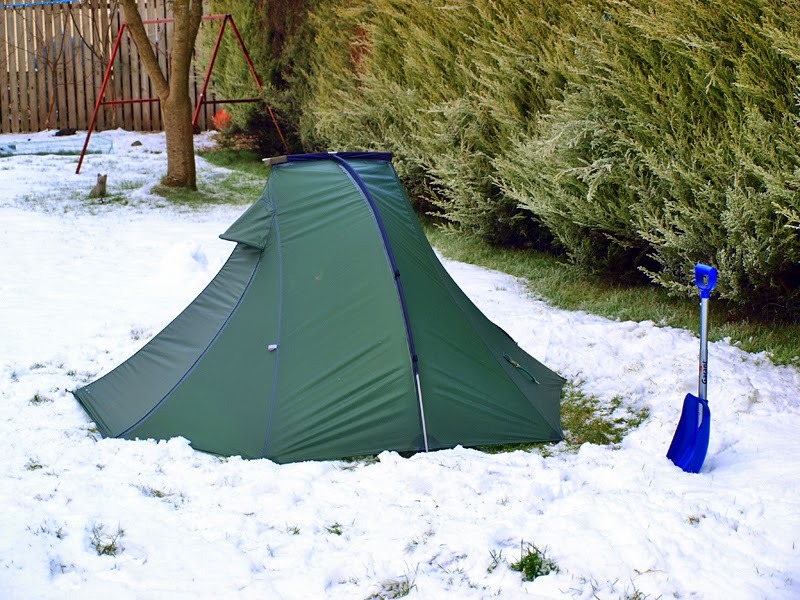 After reading your blog I actually thinking of buying a Phreeranger EB from Trekkertent as my first solo tent. 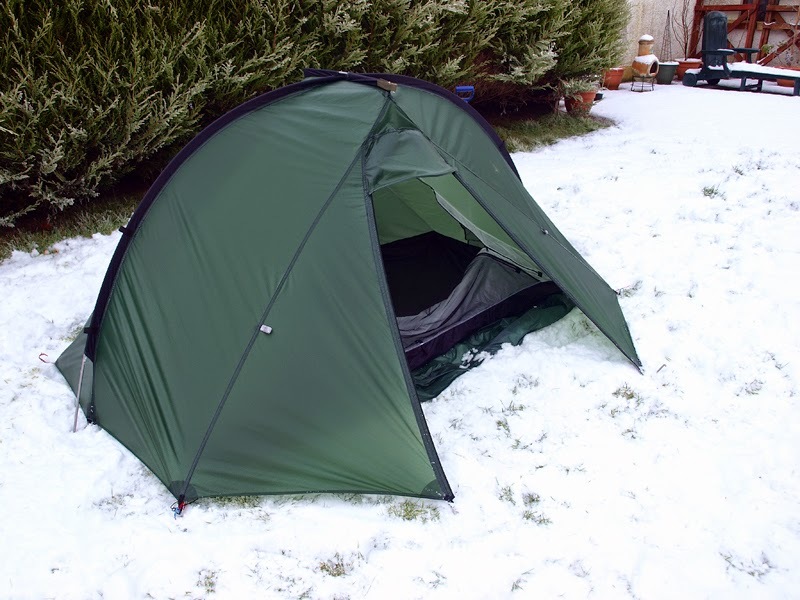 If its under 1,5kg with poles, I think the Phreeranger is a better buy then, for instance a Scarp 1. Really looking forward to the follow up! Hi Simon, I make it about 1.46 for fly, inner and poles, stuffsacks and pegs etc will bring that up a bit. To be honest I'm no longer too concerned about weight, it isn't the only consideration, I have a Laser Comp which comes in at under 1.0kg IIRC but I'd take a Phreeranger every time, even one of my old originals which are even heavier than my Trekkertent version. It depends on where you're prepared to compromise. Looking forward to the write up. No pressure.